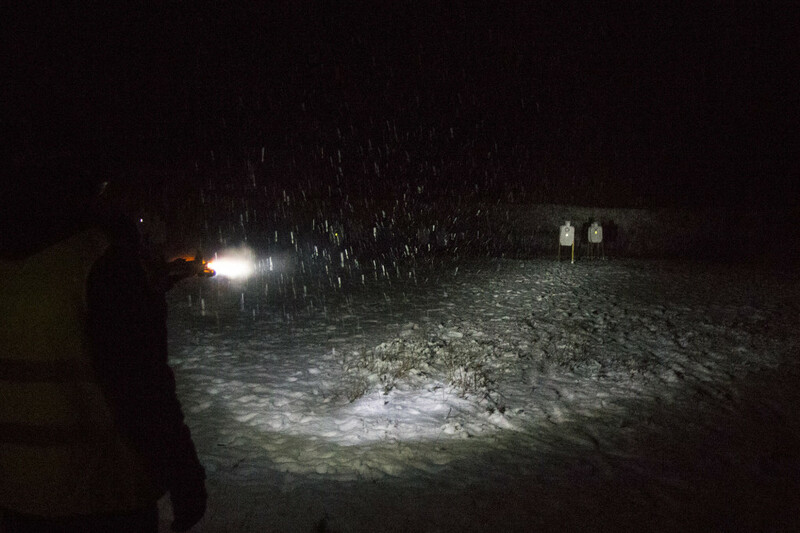 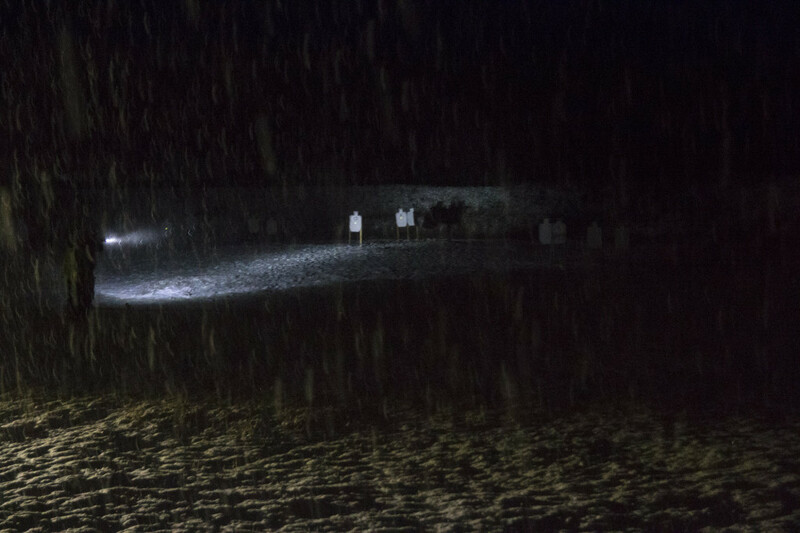 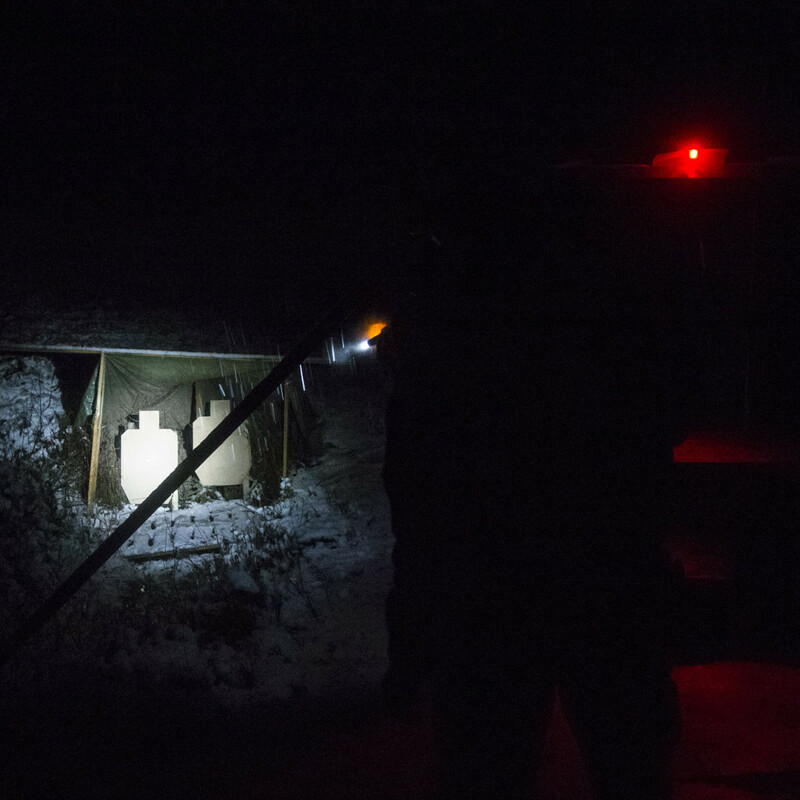 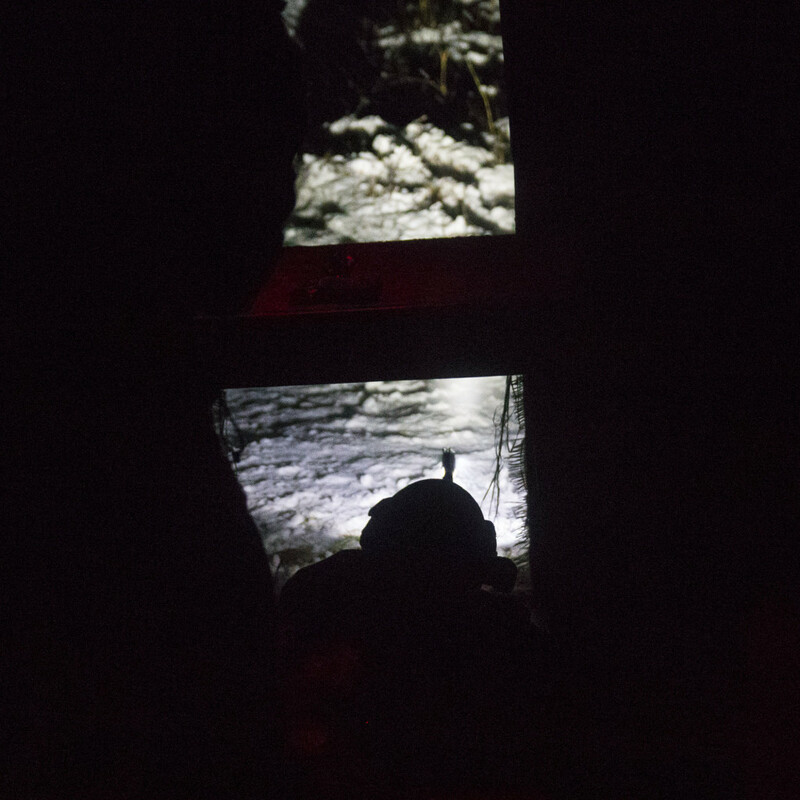 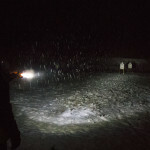 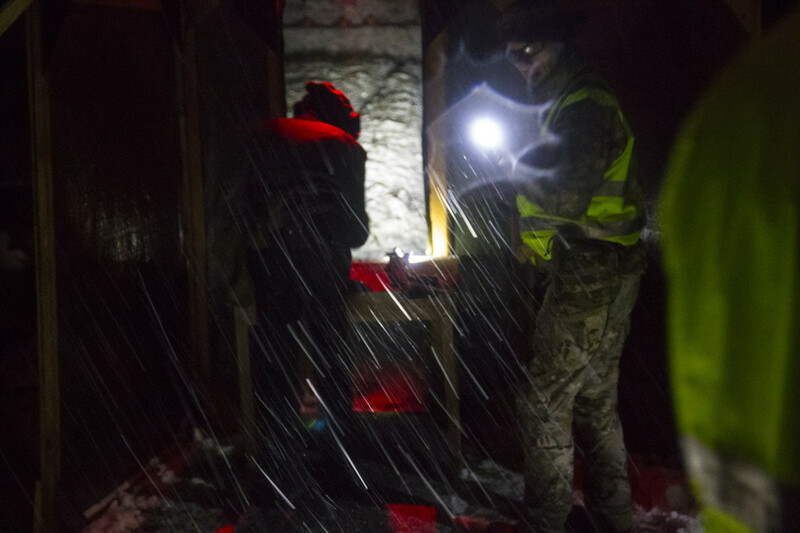 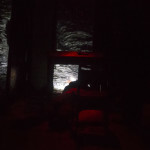 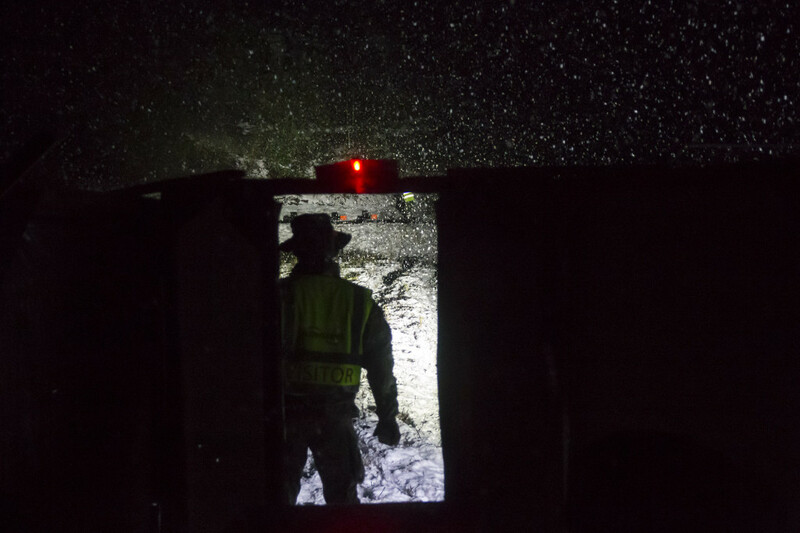 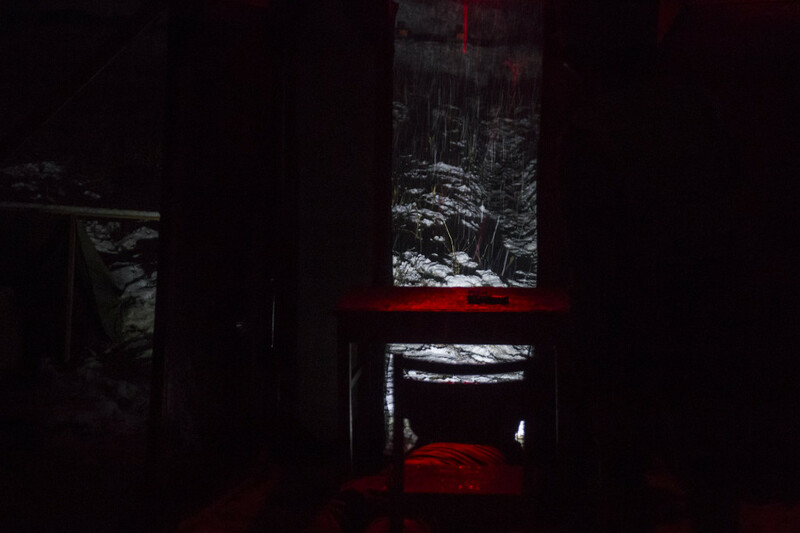 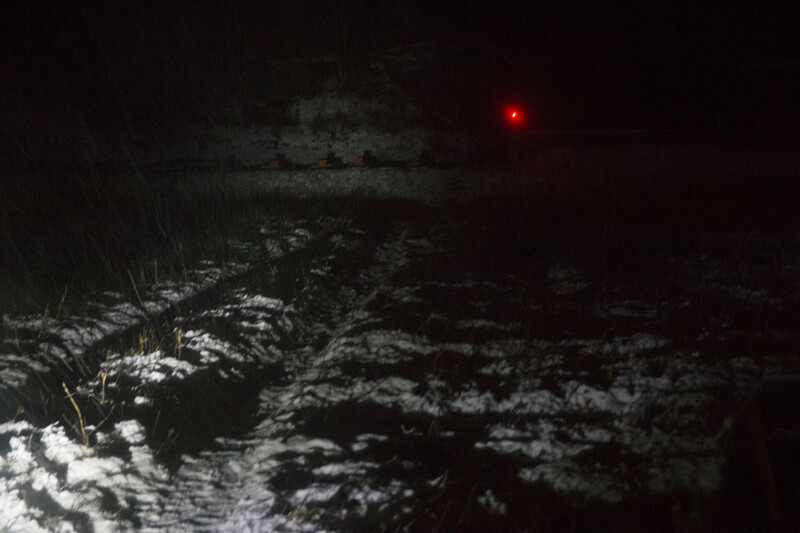 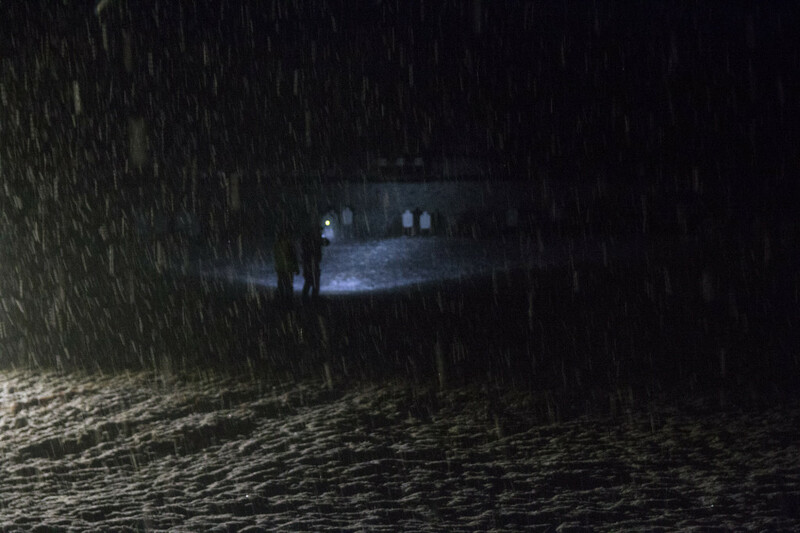 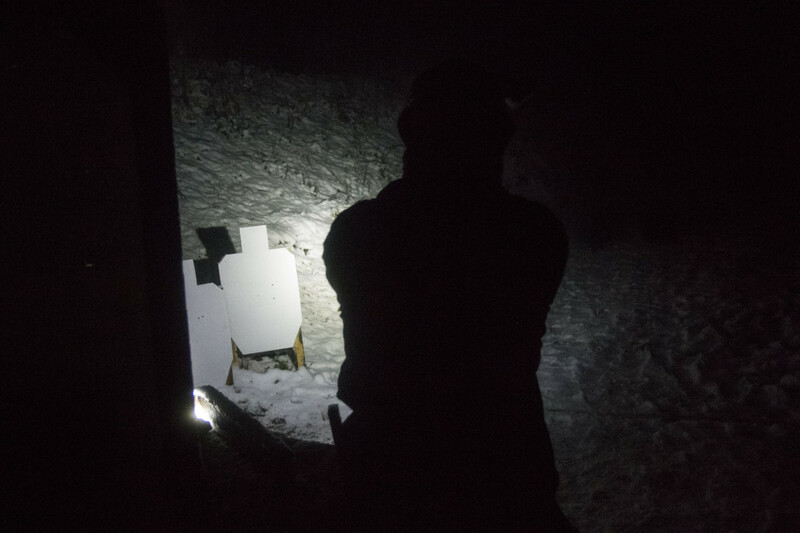 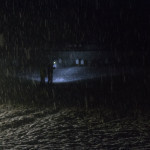 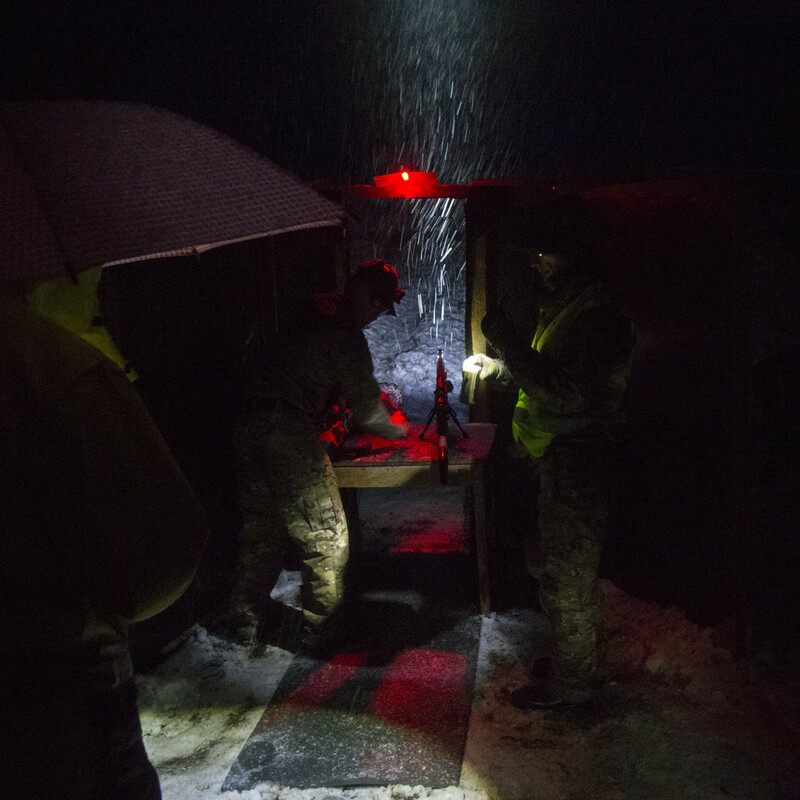 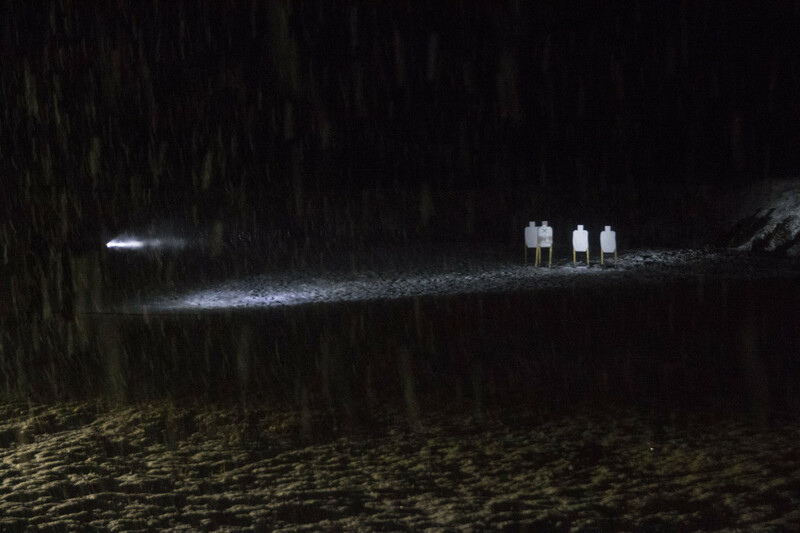 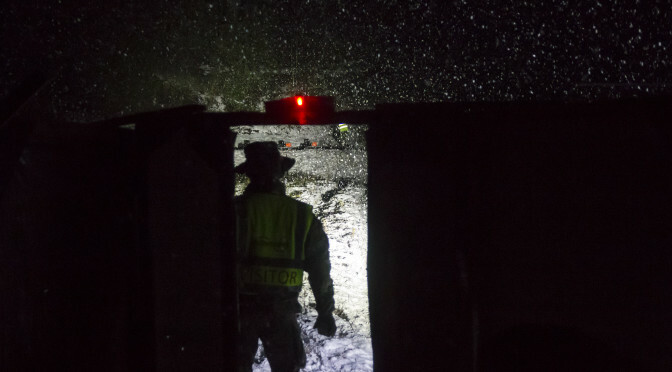 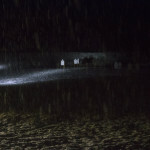 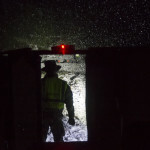 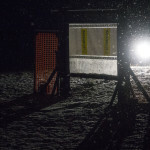 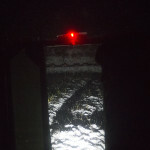 The year turns to time with less light which means some SRA competitions in the dark w/ weapon lights. 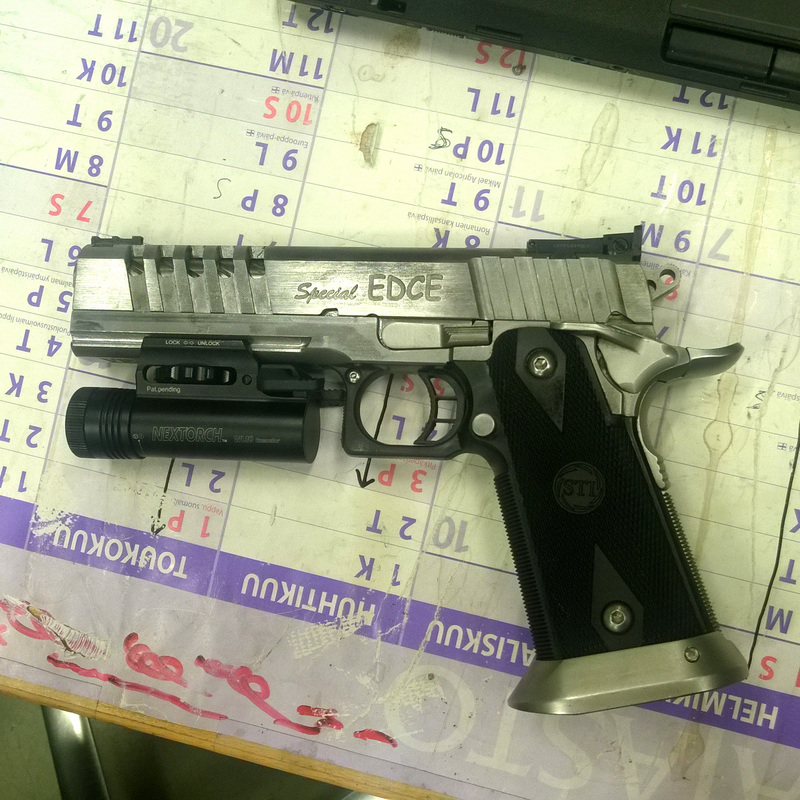 I have currently shot mostly with my custom 2011, Special EDCE, but my only pistol with a light mount is CZ Shadow. 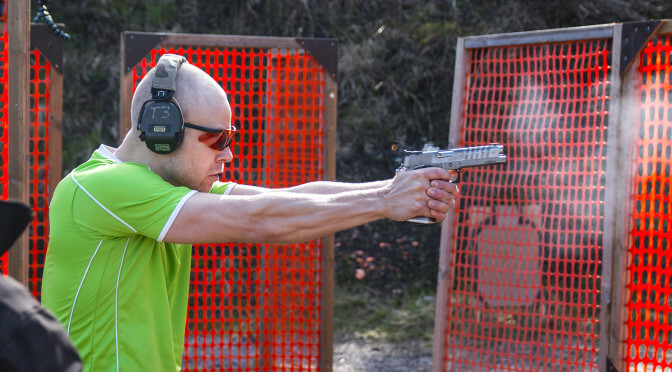 As we all know, xx11 pistols have different grip angle than CZ, which is a problem as currently my wrists tend to turn to xx11 angle, so in the dark when you can’t properly see, the CZ points upwards if the wrists are not adjusted. 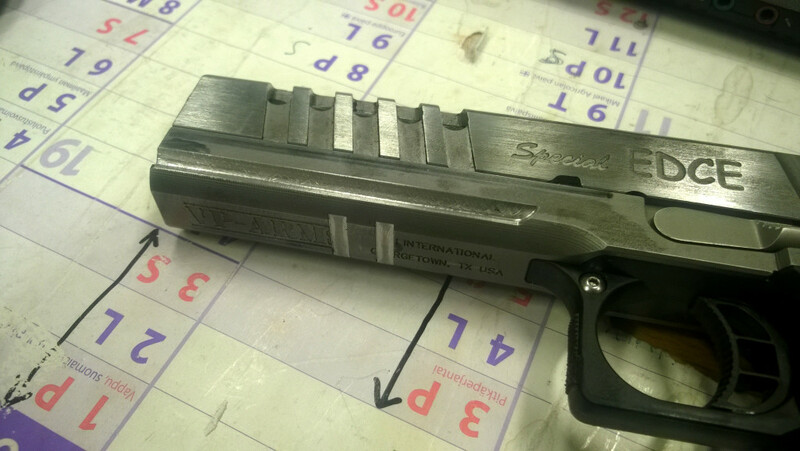 So set to enable mounting my pistol light (Nextorch WL10) to the Special EDCE. 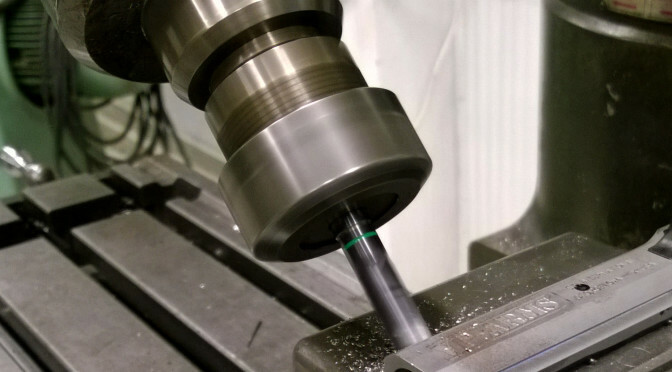 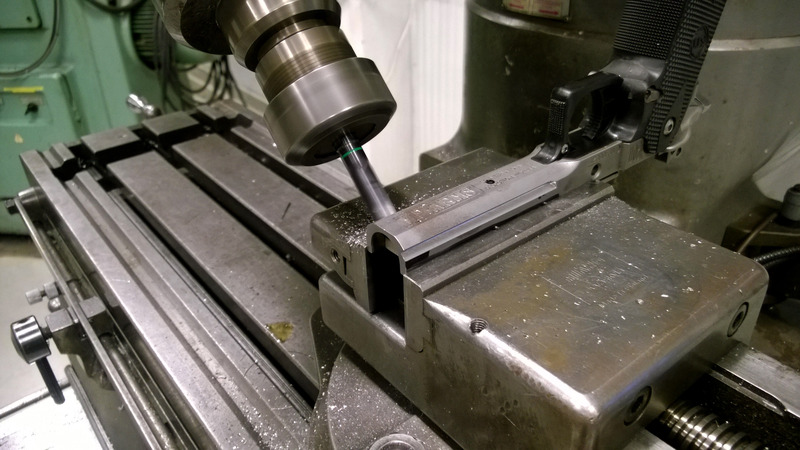 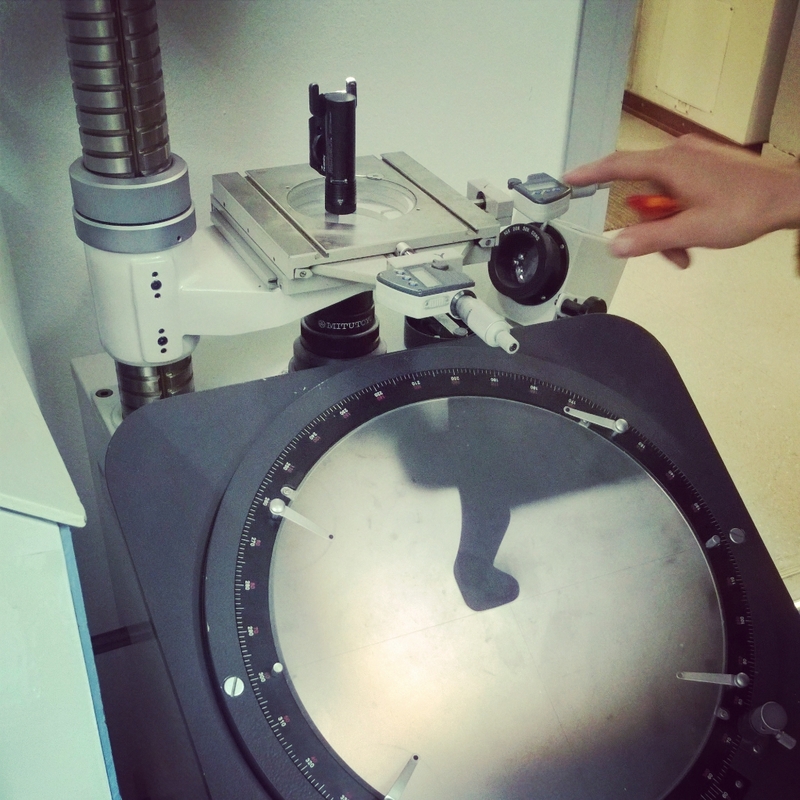 The options were to attach or machine some rail. 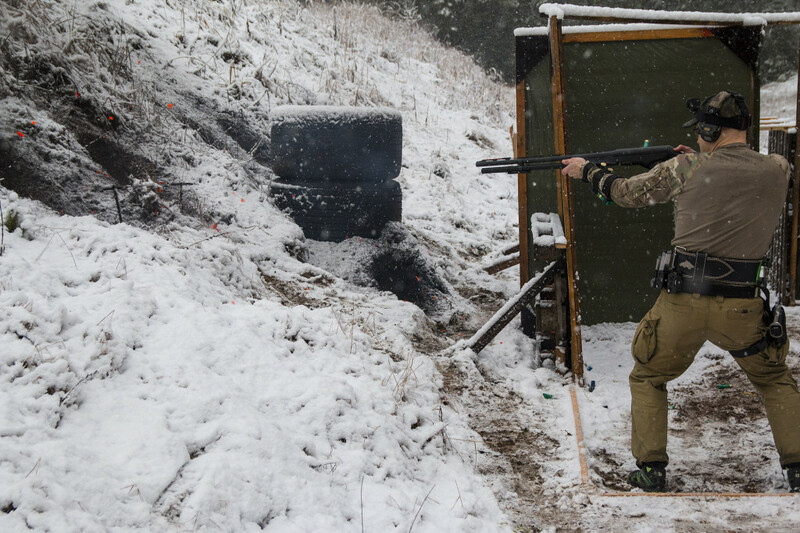 We went with the latter. Unfortunately the dust cover does not have very much structural strength so we had to make some compromises which makes this a custom fitting between the gun and the lamp in question. 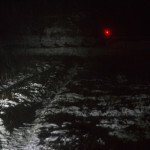 So the result is not an actual picatinny/weaver rail, only similar to. 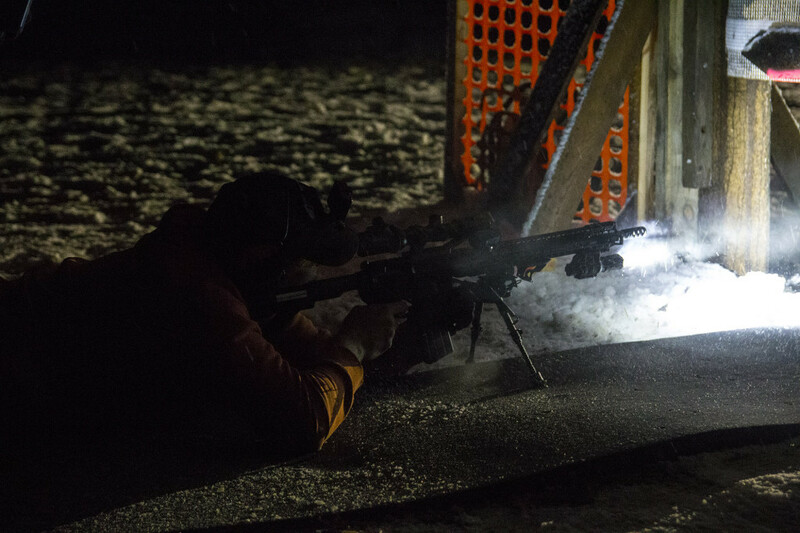 Stage 1 was a “sniper stage” with targets from 200 to 500m and allowed to be shot with a larger caliber rifle including a proper scope. 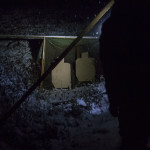 The used targets were Jasters, a type of electronically functioning (reset, set up/down) large metal sheets. 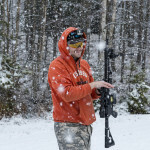 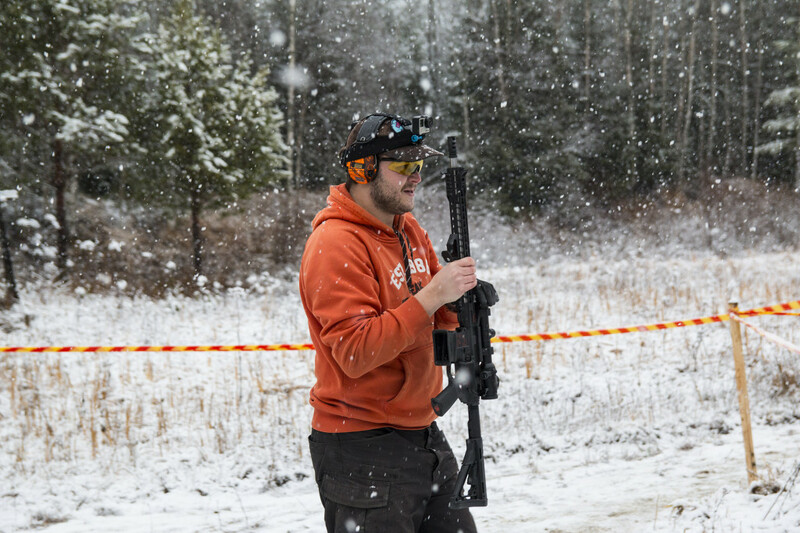 The organizer provided a .308 AR with a Leica scope, free of charge. 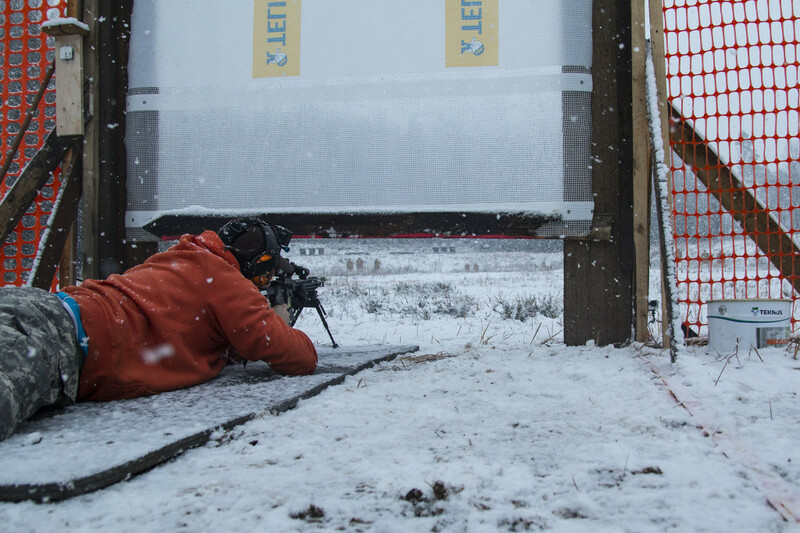 Only one of us was able to shoot all 6 of the targets (200, 300, 2×385 and 2x500m) with the help of his own and familiar AR-10.. 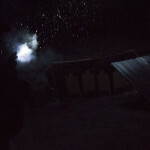 Stage 2 had a tank prop and it was nice and fast shooting with some close-up papers and 6 Jasters in a little distance. 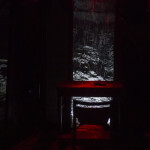 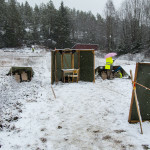 Stage 3 was a pistol stage with some paper targets and four poppers that were required to be shot strong hand only. 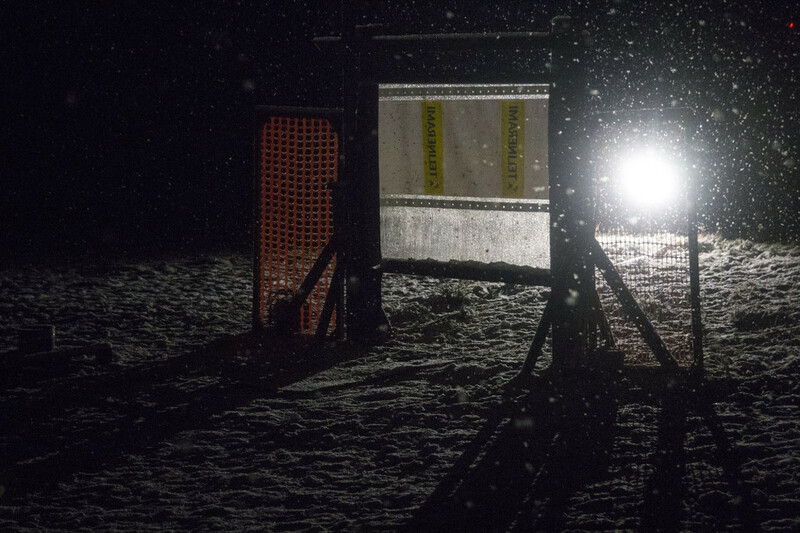 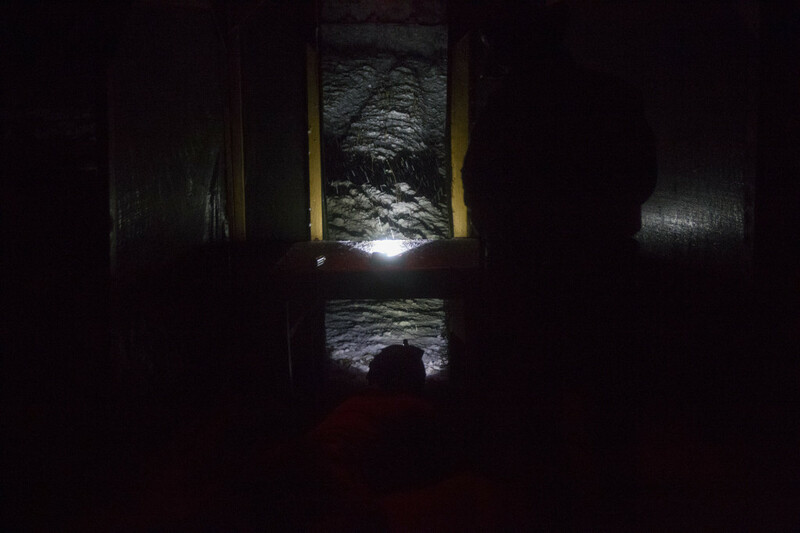 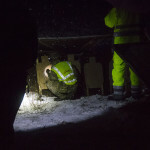 Stage 4 had a very slow sledge that was activated from front of the stage, by the sandbags. 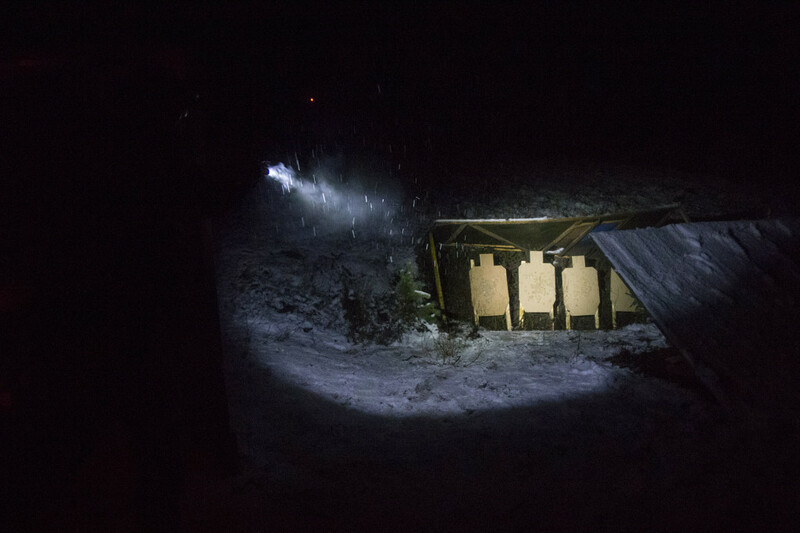 Stage 5 was nice variation from most of the stages we have shot. 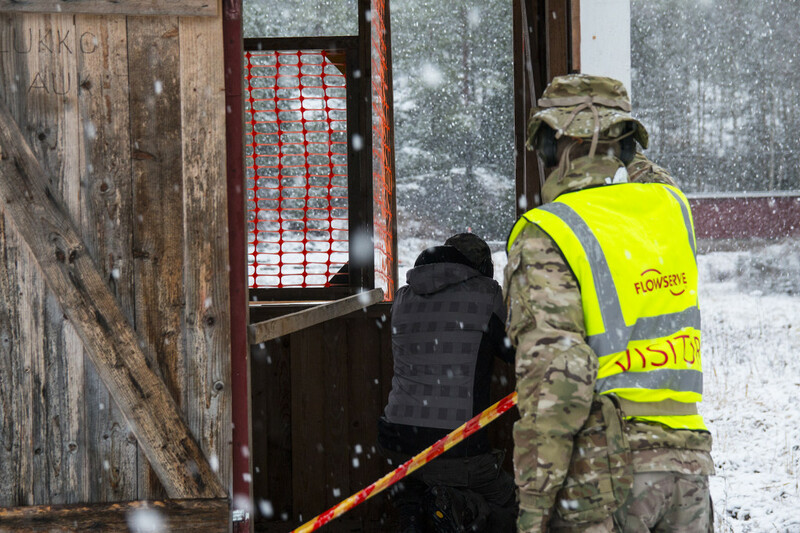 It simulated being stuck in a tree with a parachute! 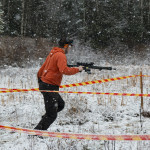 On stage 6 there was a Sig made AR-15, provided by organizer and readily set up with four rounds in the mag. 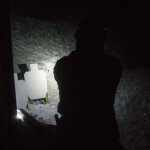 In start you had to rack, shoot two papers, make safe and leave the rifle, continuing with pistol. 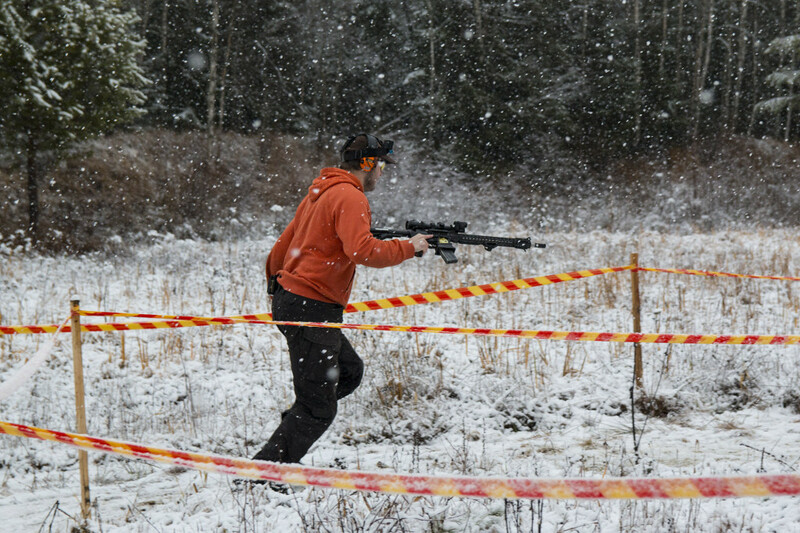 Stage 7 was sort of a run and gun with shotgun, requiring minimal 16 shots. 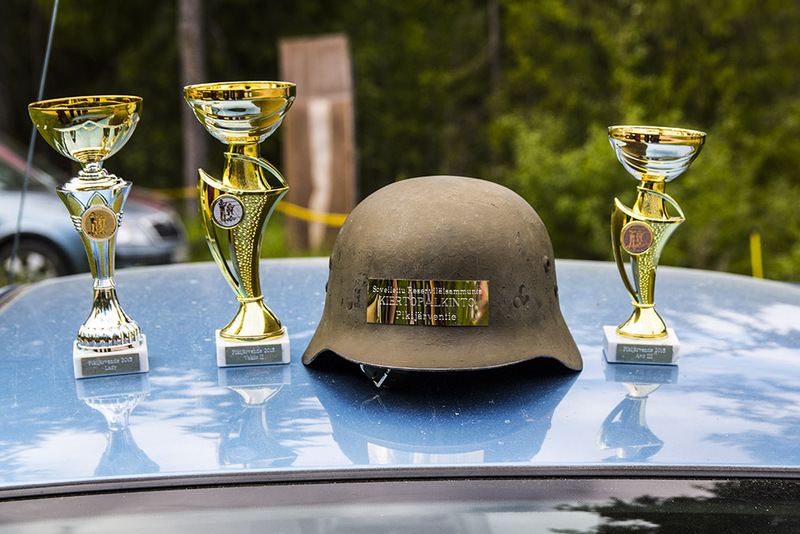 We had two team entries, one for open (avoin) and one for standard (vakio). 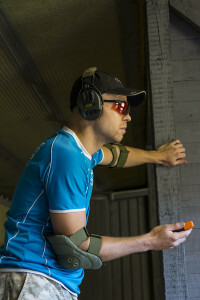 In combined results the open team won and standard team came second. 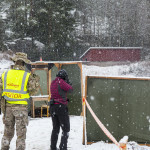 Individually we won the lady category, had second on standard division and third on open. 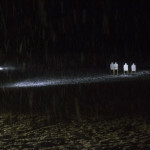 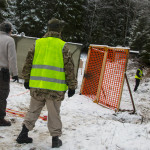 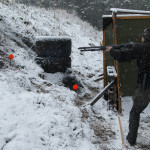 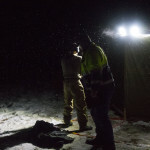 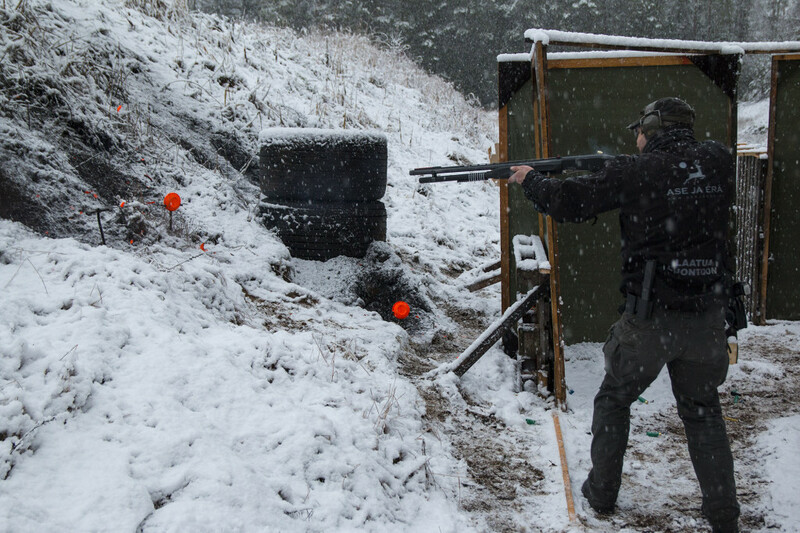 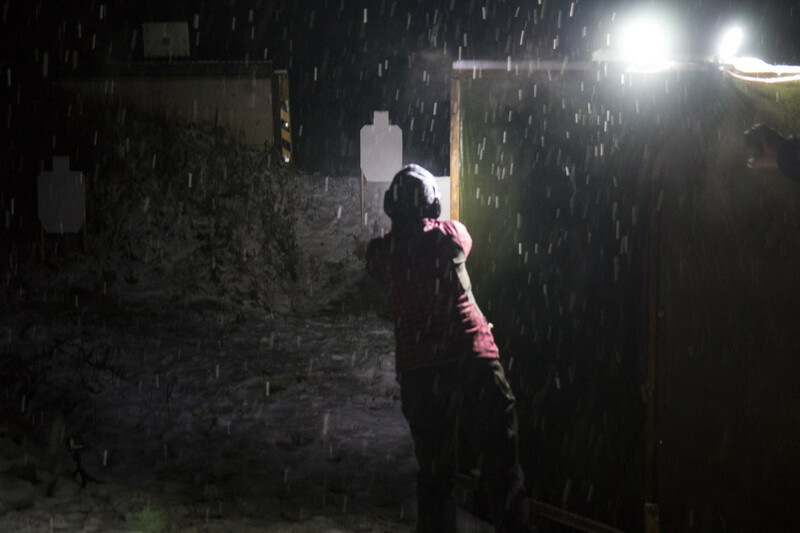 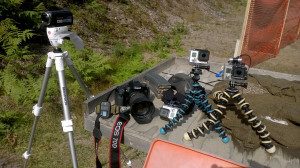 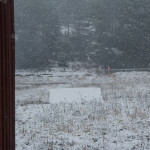 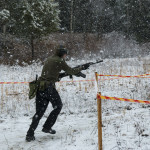 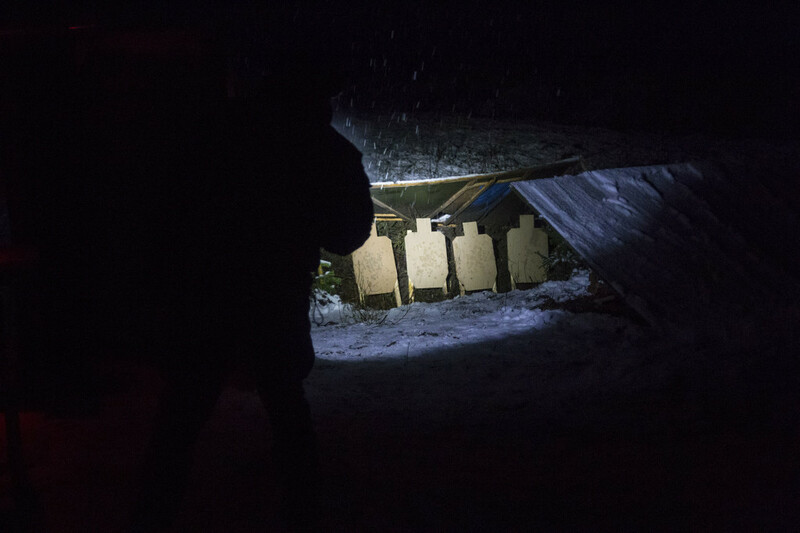 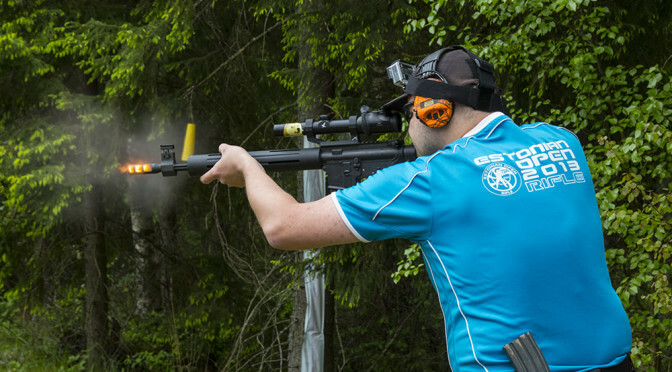 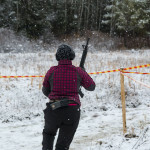 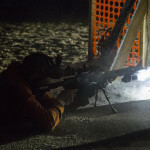 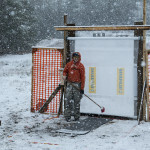 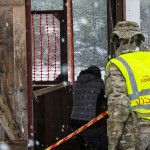 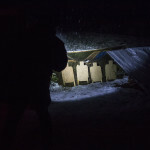 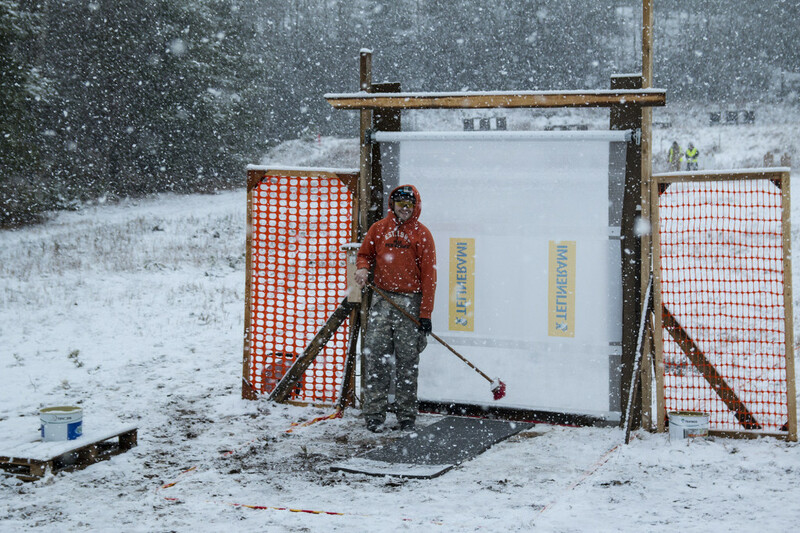 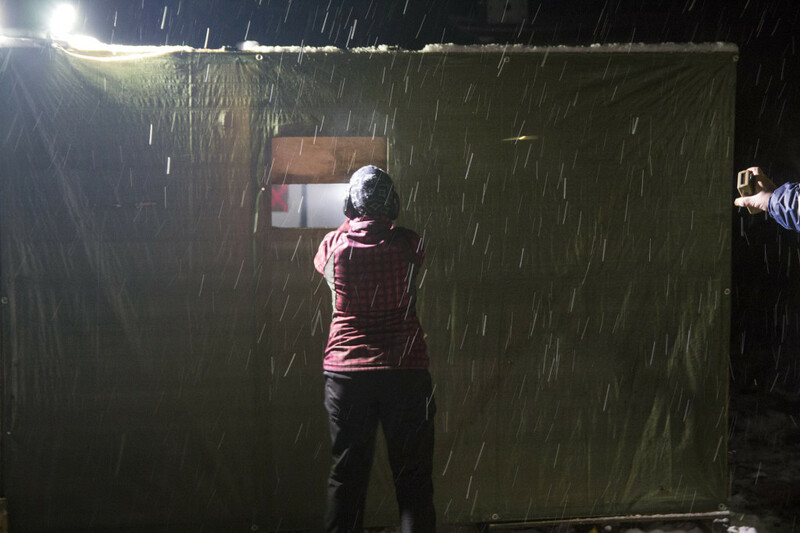 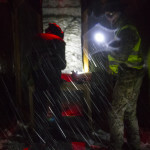 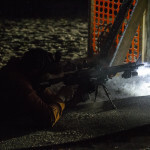 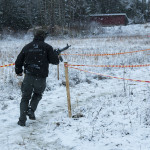 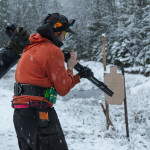 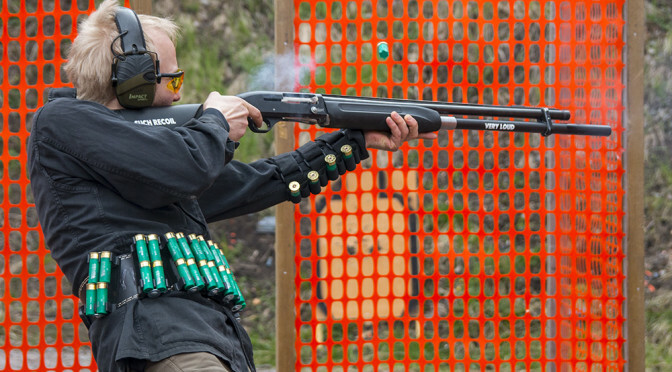 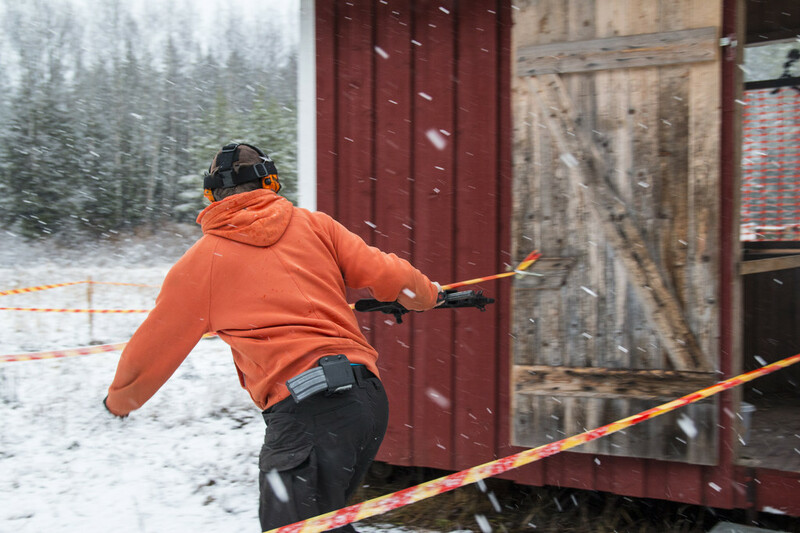 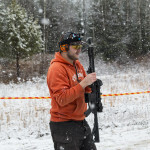 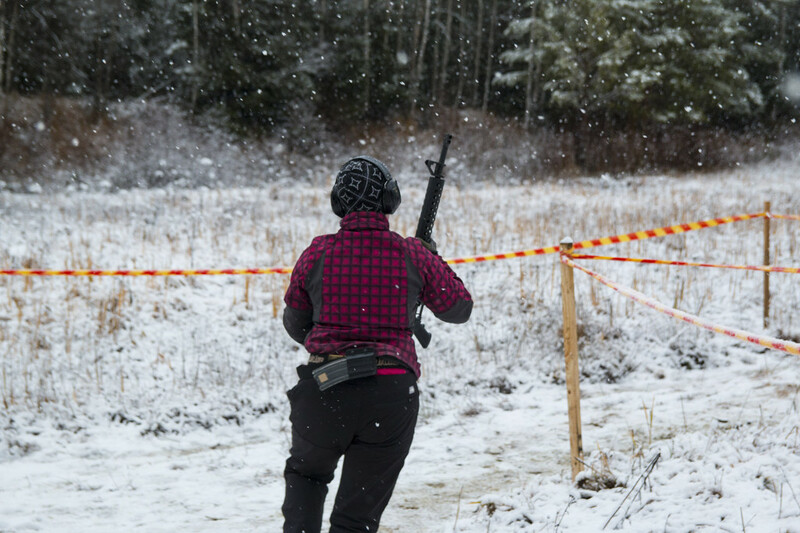 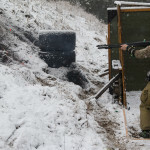 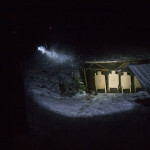 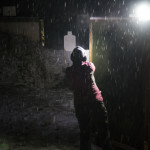 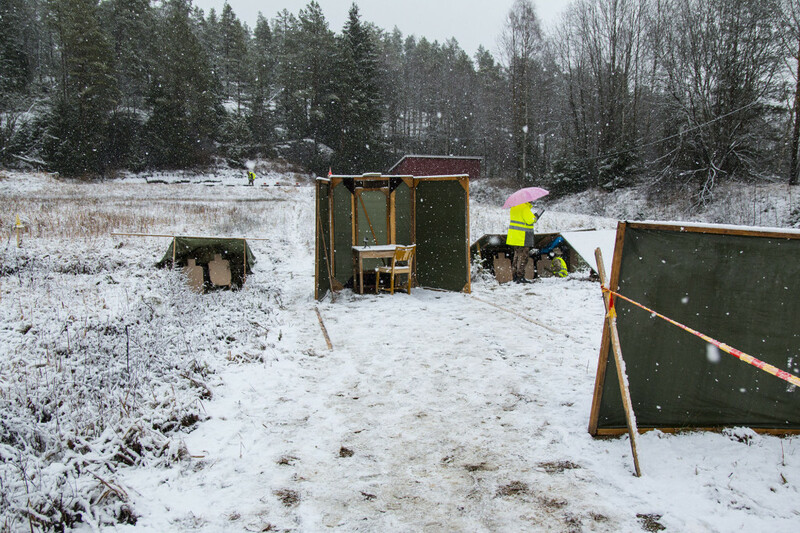 Pictures from the part three of the Loimaa Cup 2015 (Shotgun match). 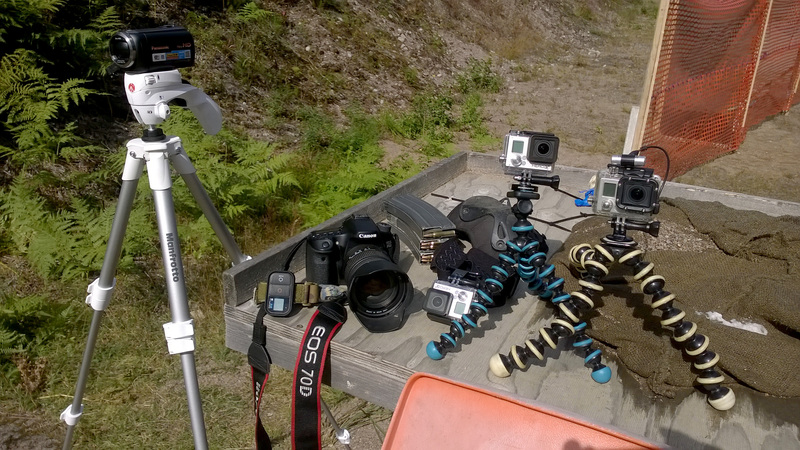 Shot on 2015-05-09, ordered by stage numbers (shooting order was: 5-6-7-8-1-2-4-3). 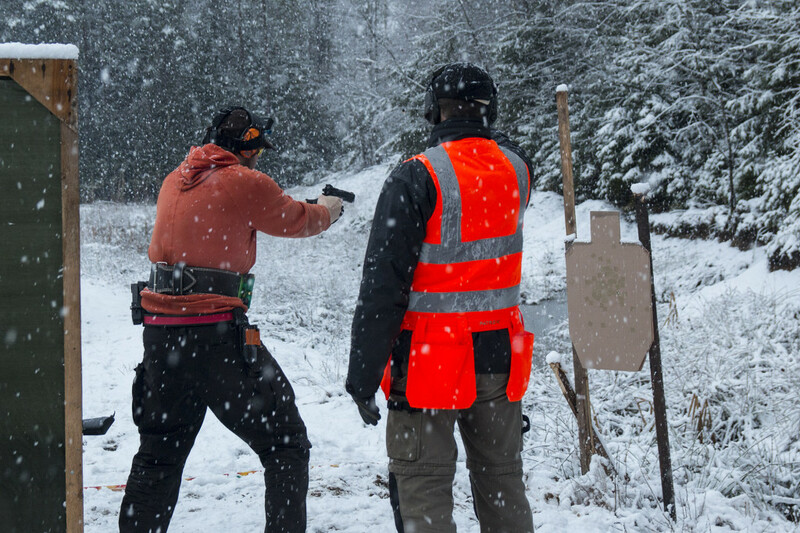 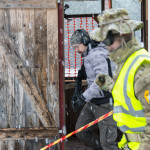 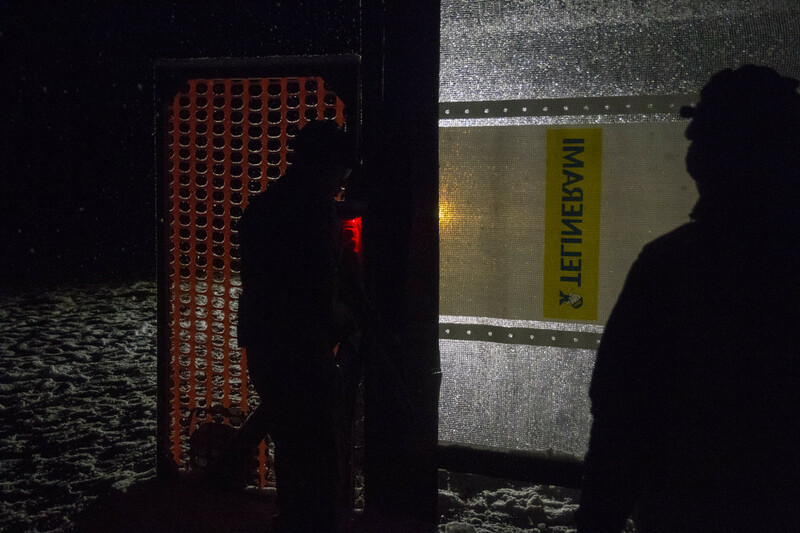 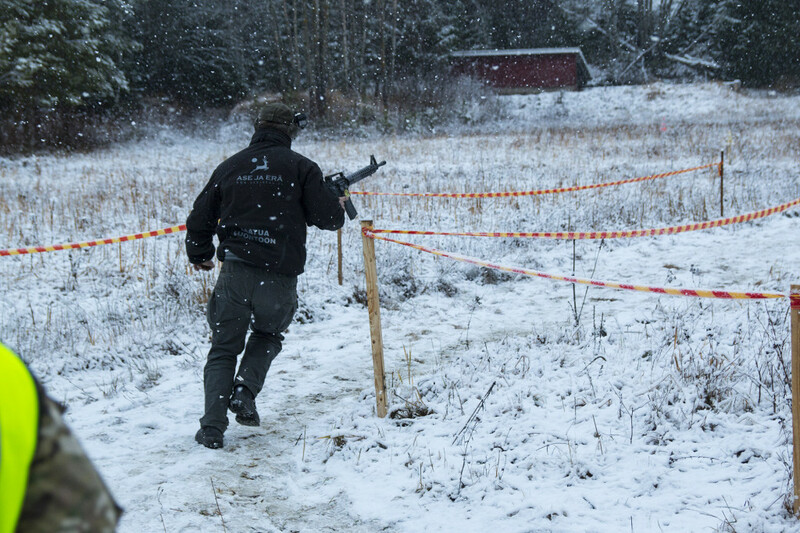 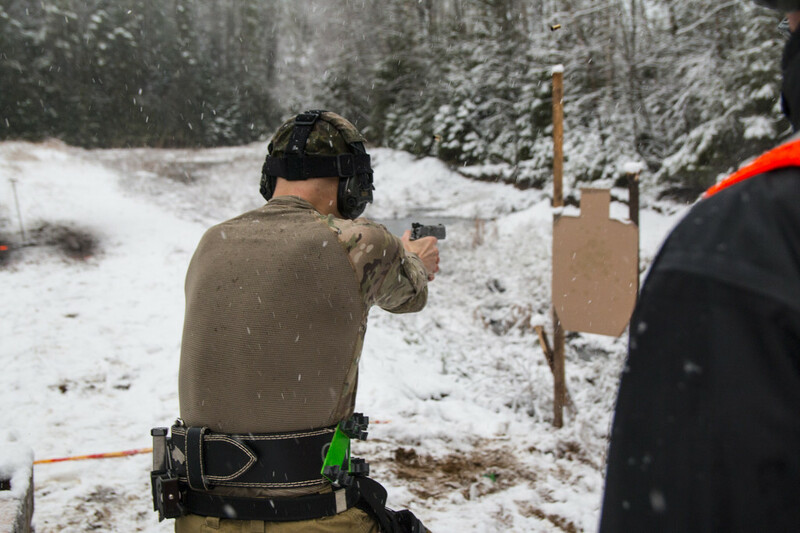 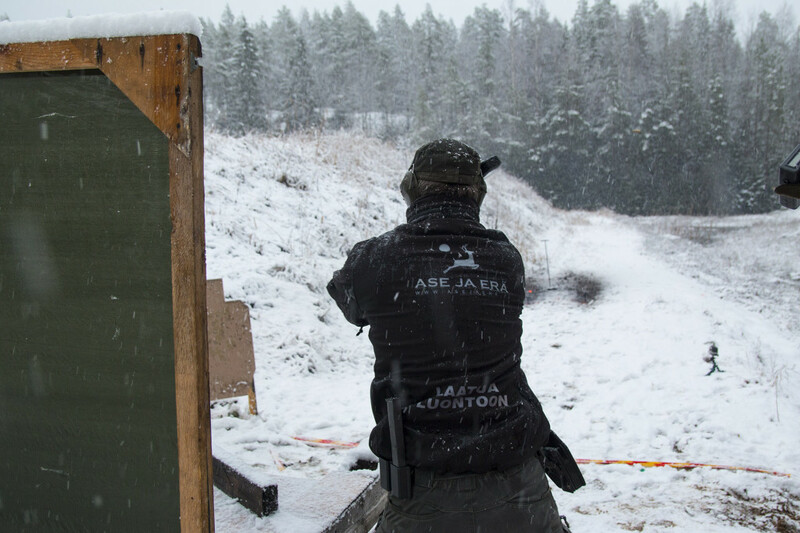 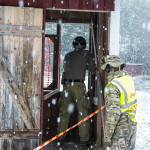 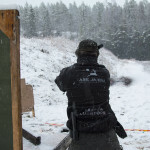 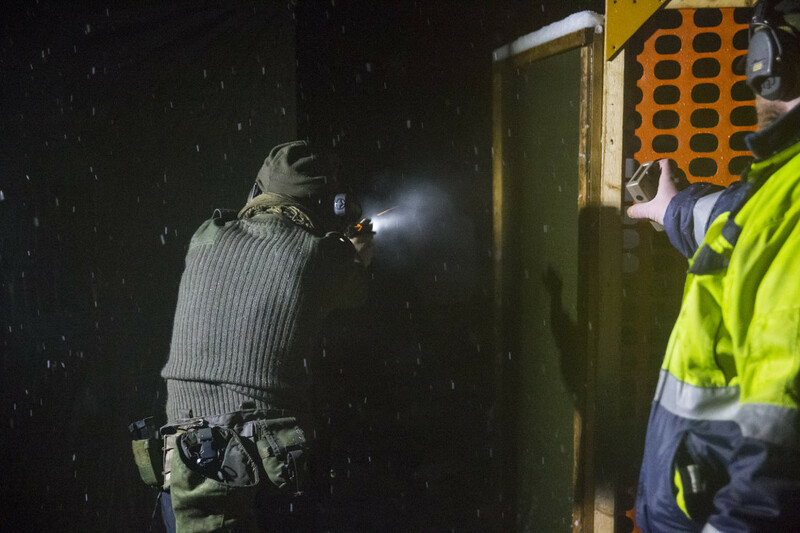 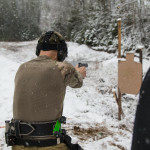 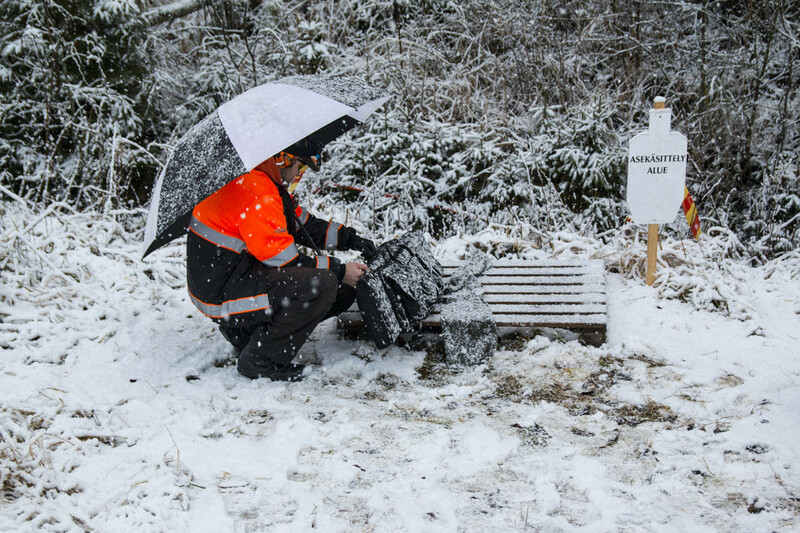 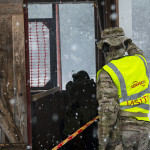 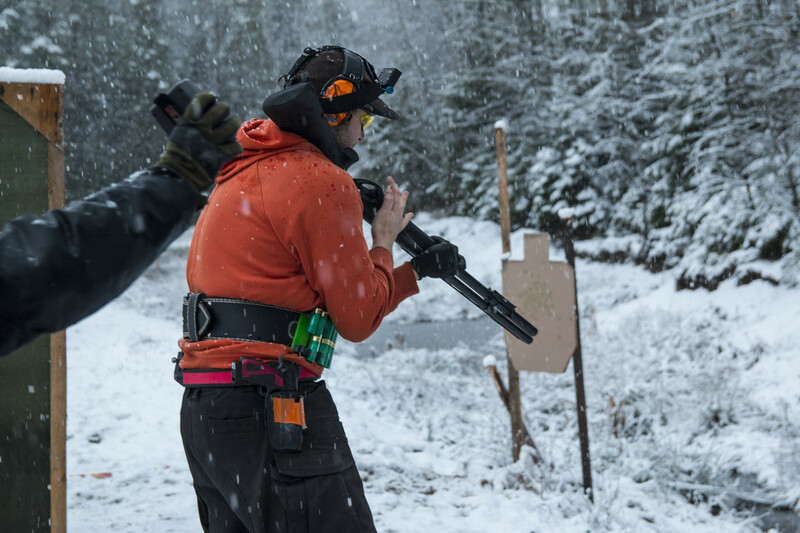 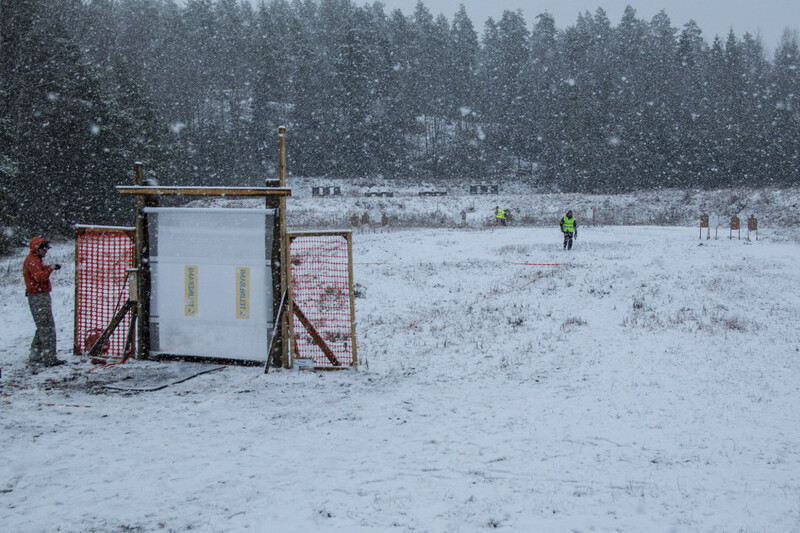 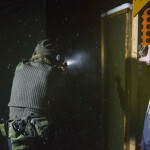 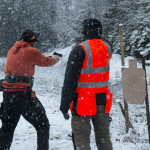 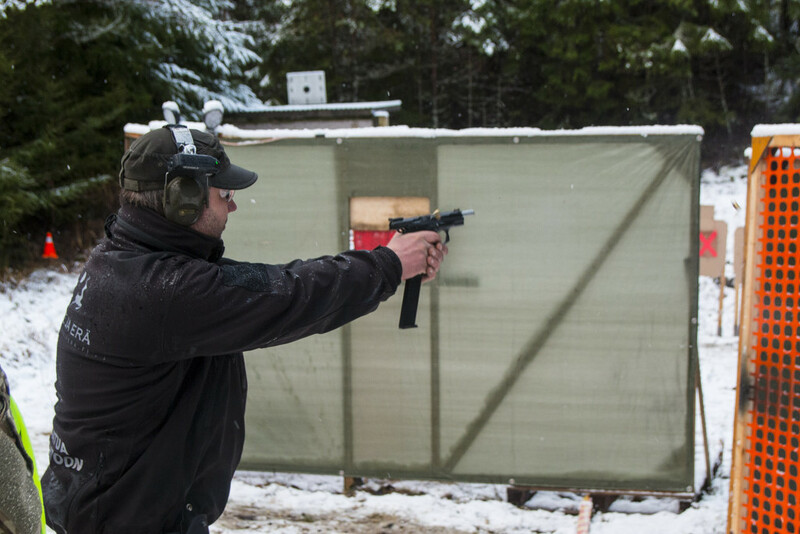 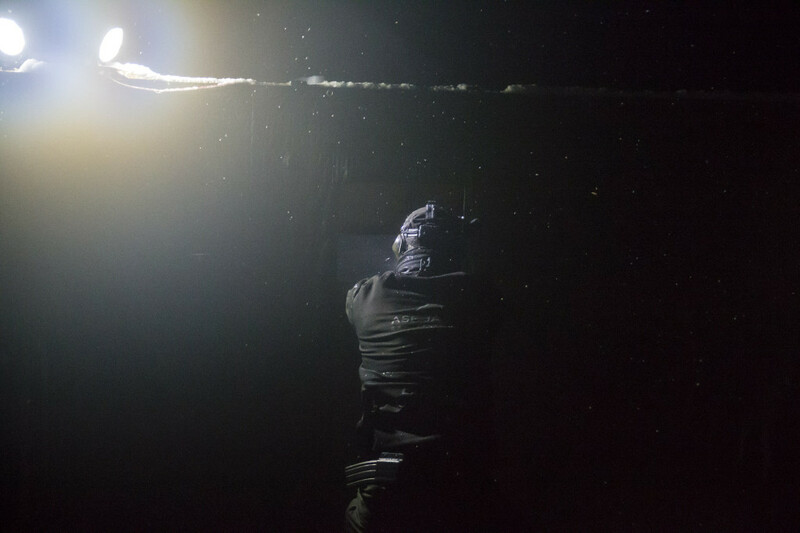 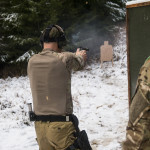 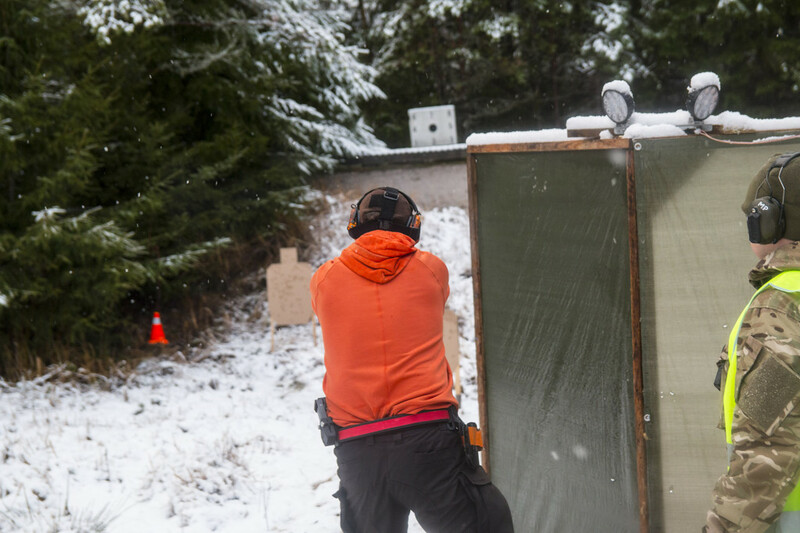 Pictures from the part two of the Loimaa Cup 2015 (Pistol match). 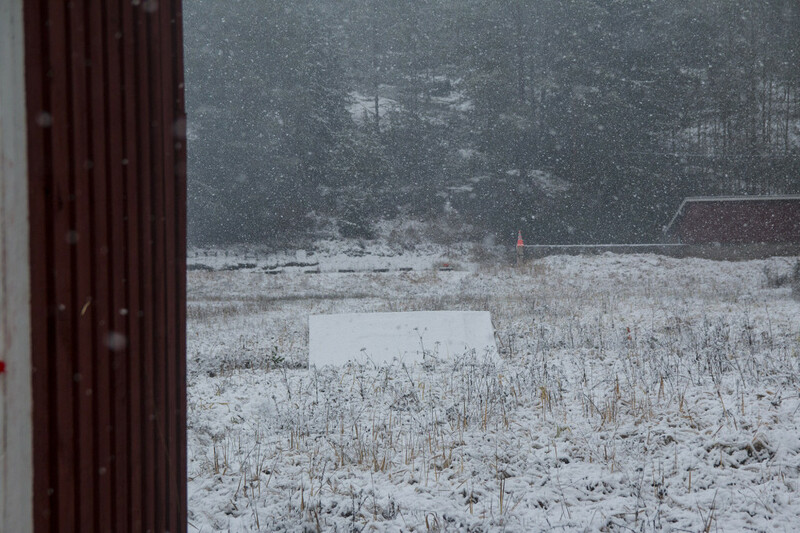 Shot on 2015-05-03, ordered by stage numbers (shooting order was: 3-4-5-6-1-2). 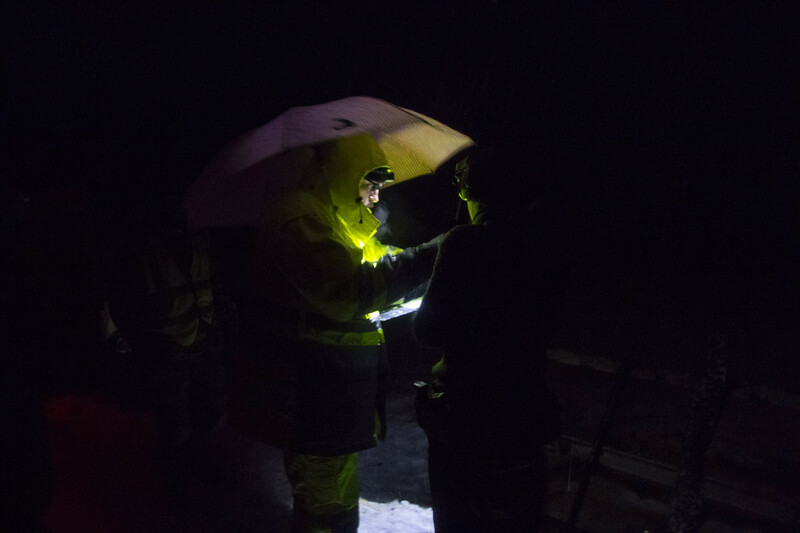 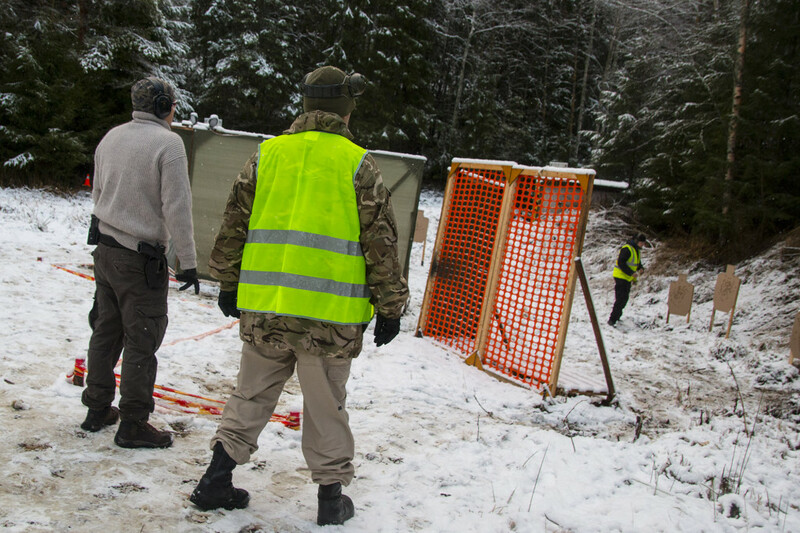 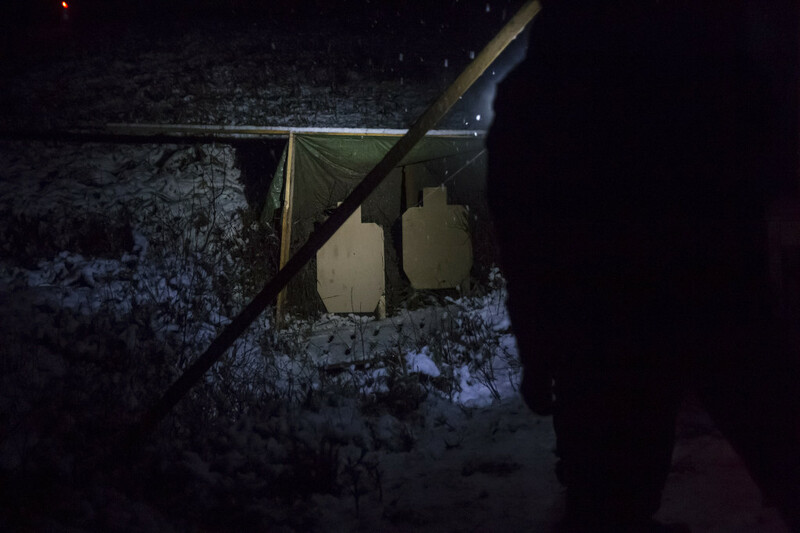 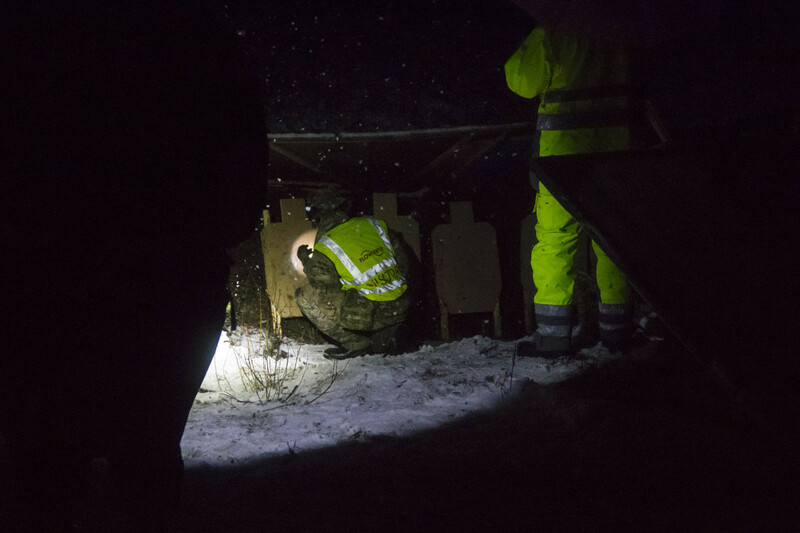 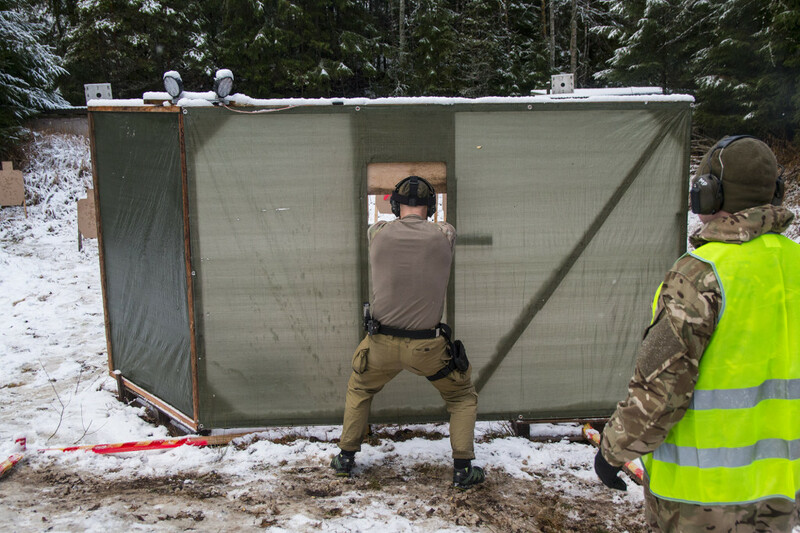 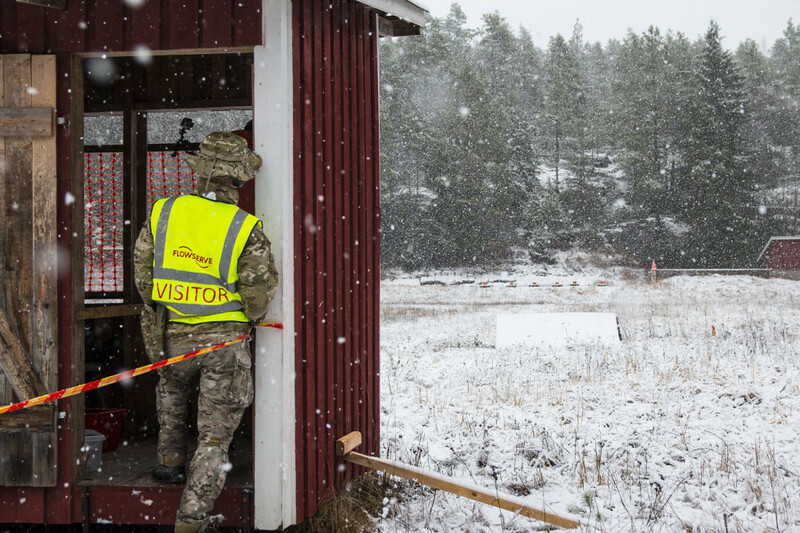 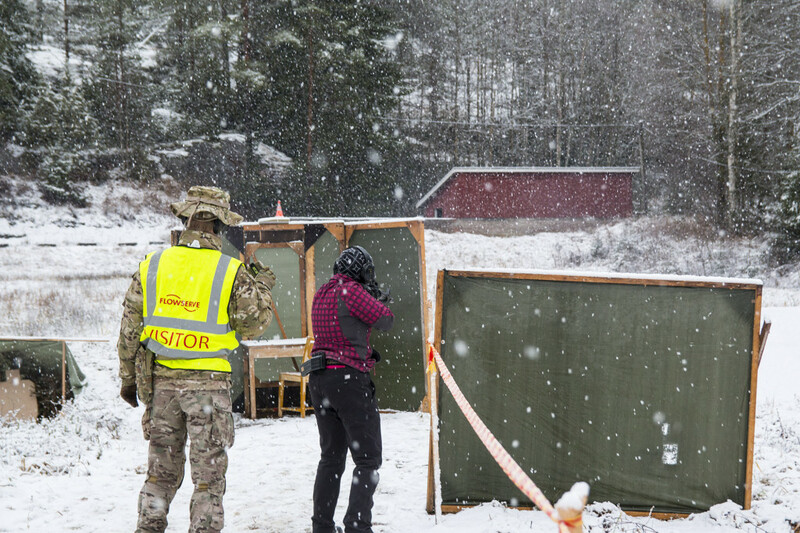 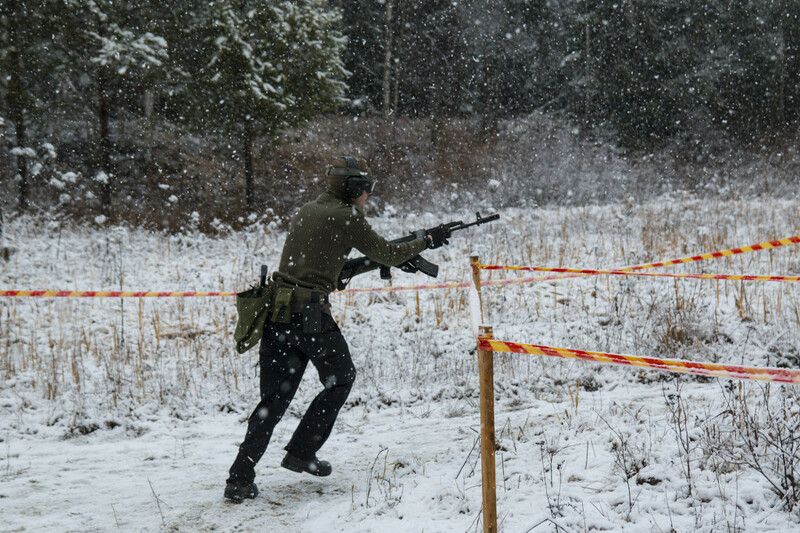 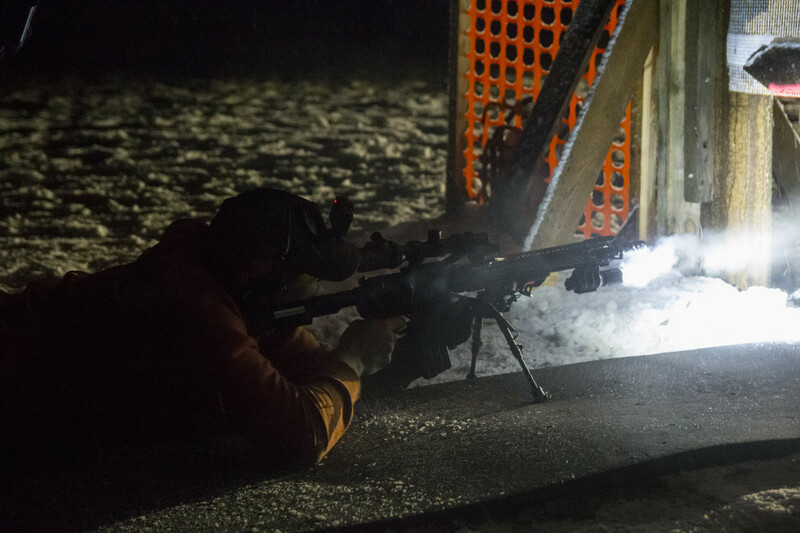 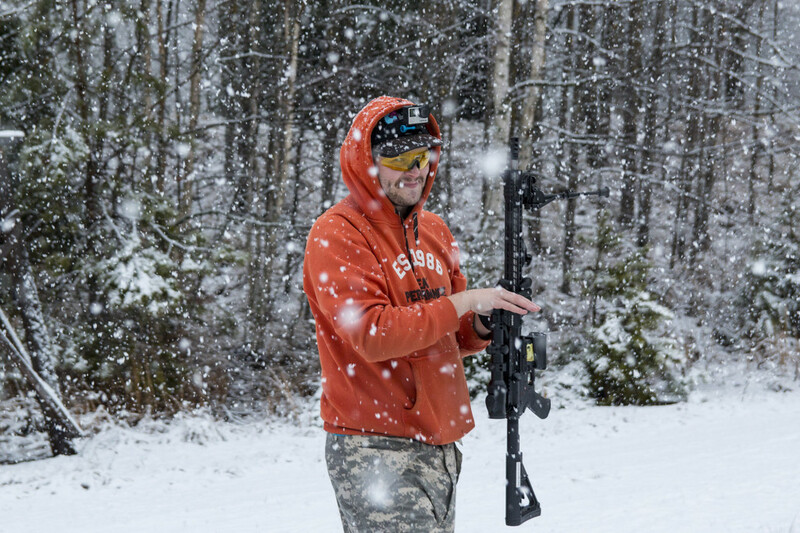 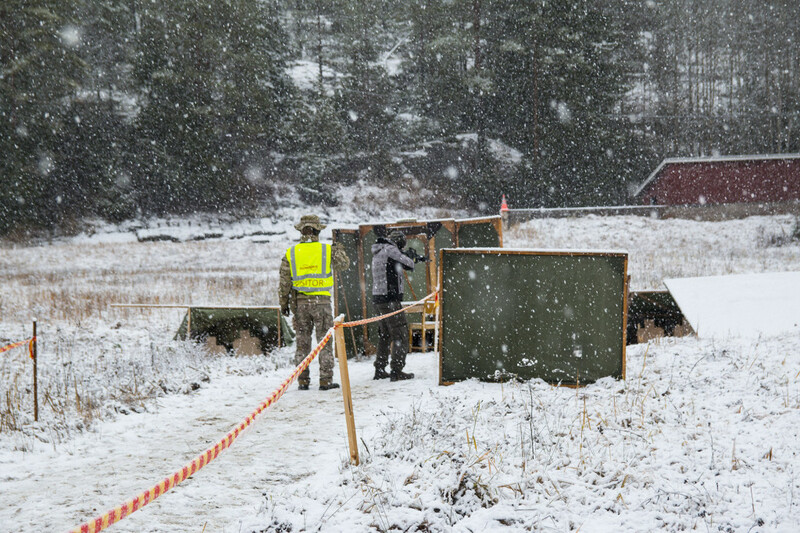 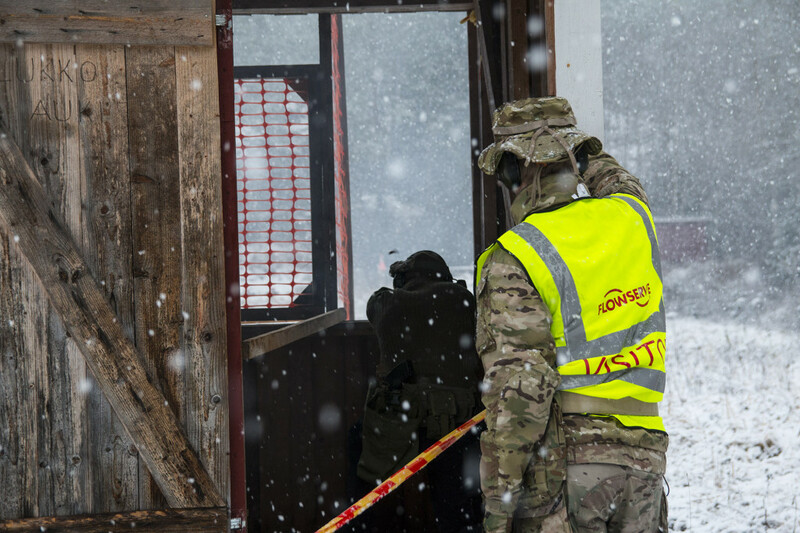 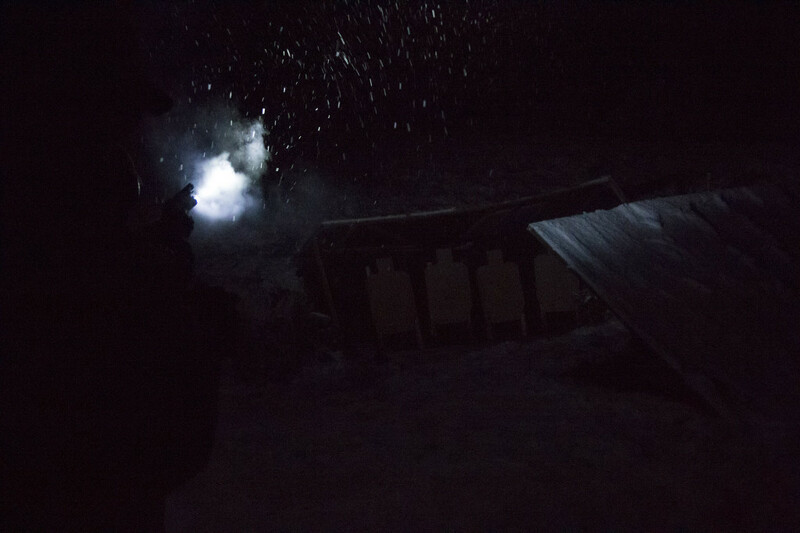 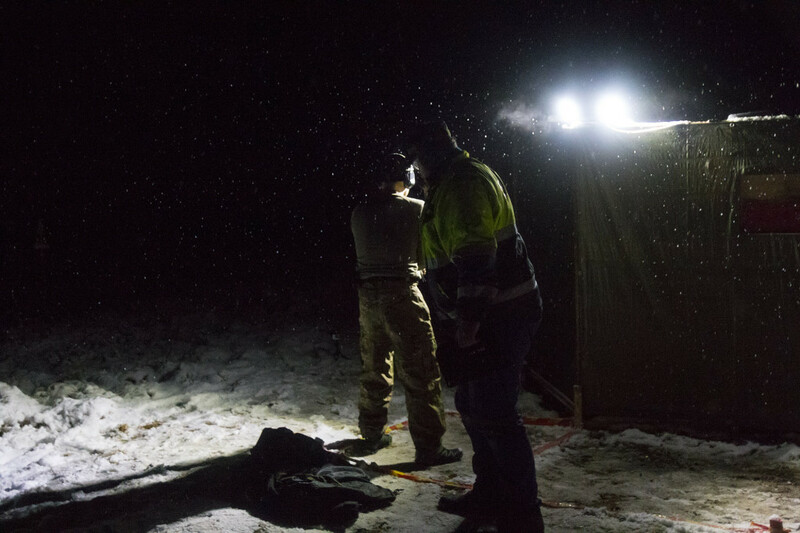 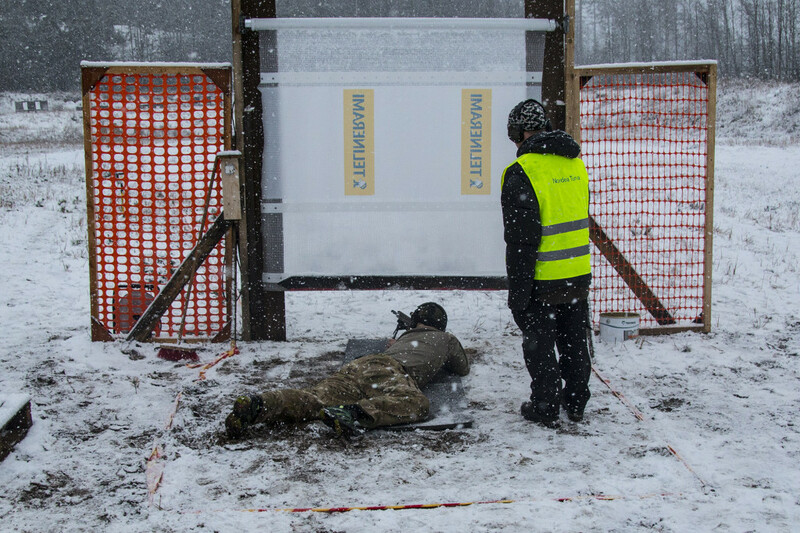 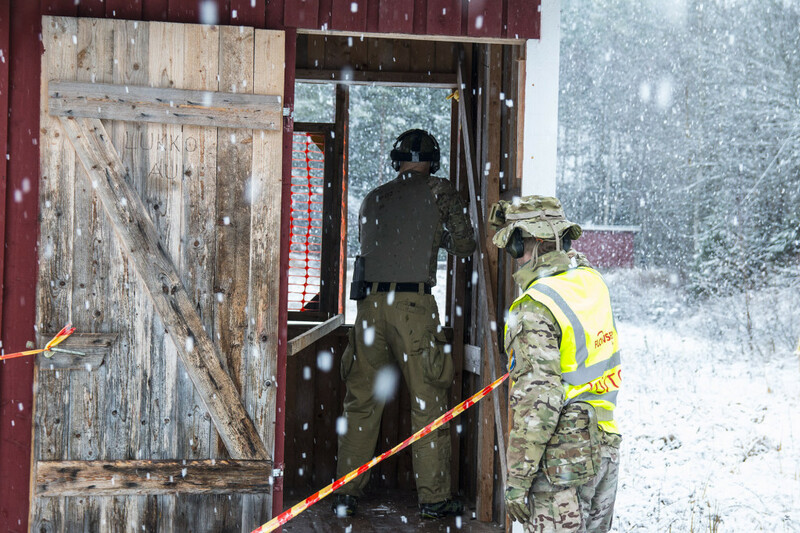 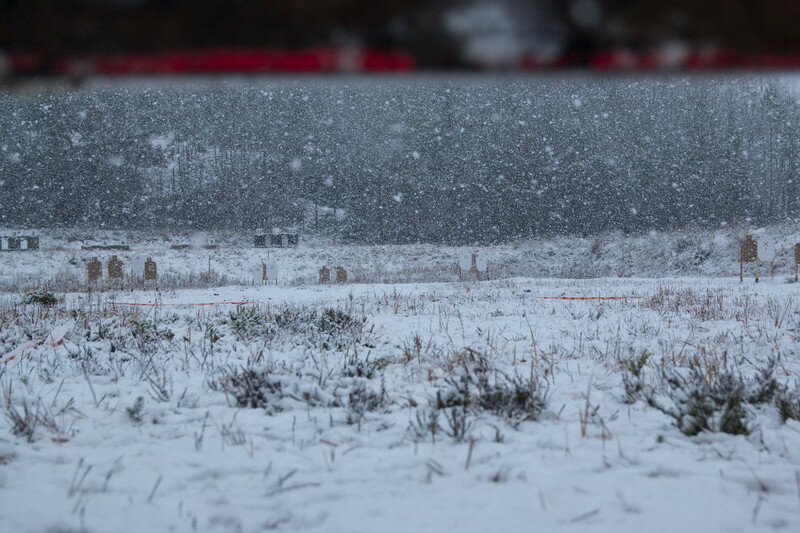 Special squad (SS) participated in Nordic Rife Match 2014 as Range Officers and shot the match in pre-match. 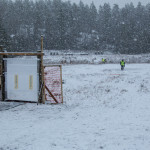 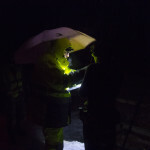 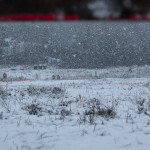 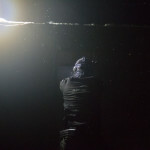 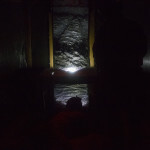 For us the event was 4½ days from wednesday afternoon to sunday. 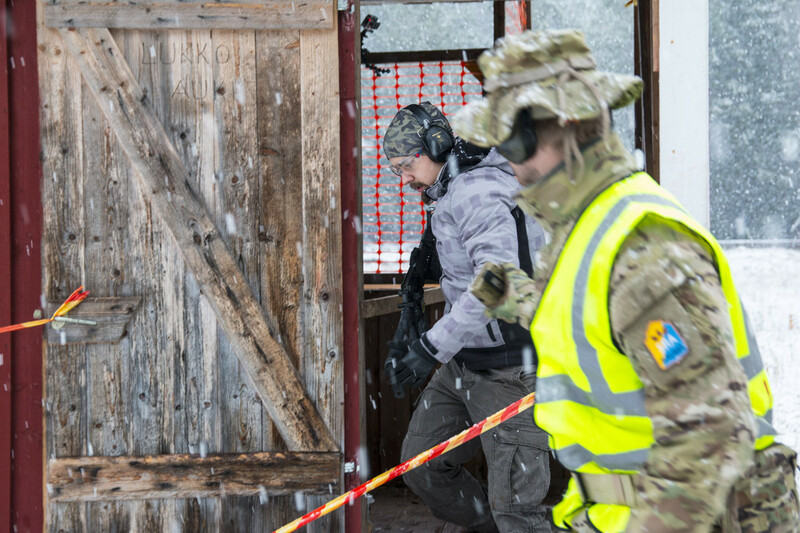 SS was responsible to handle stages 15 and 16 on main match. 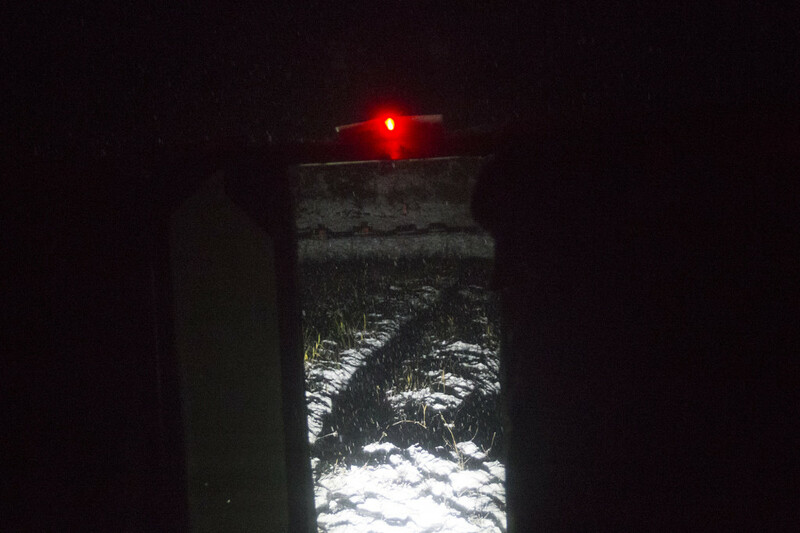 We had two new cameras to provide better coverage of the failures events of the match, totaling in possible 5 different angles.